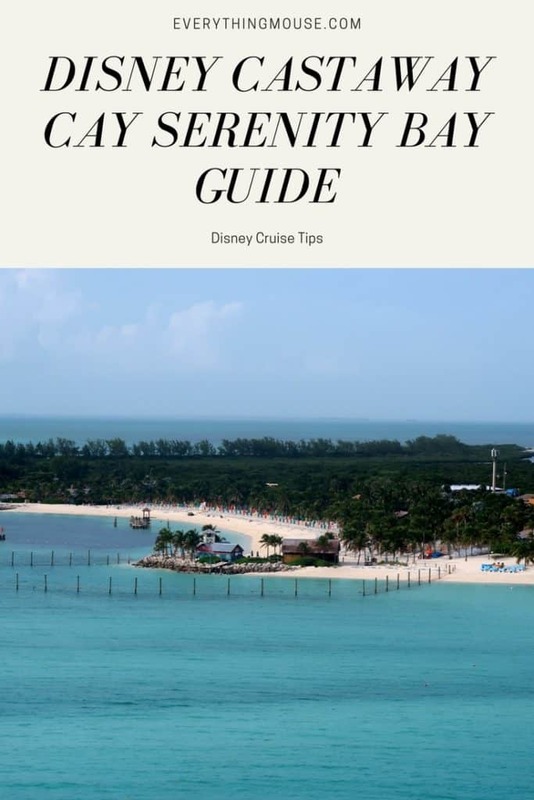 If you are sailing on a Disney cruise you really need to know about Serenity Bay Castaway Cay. 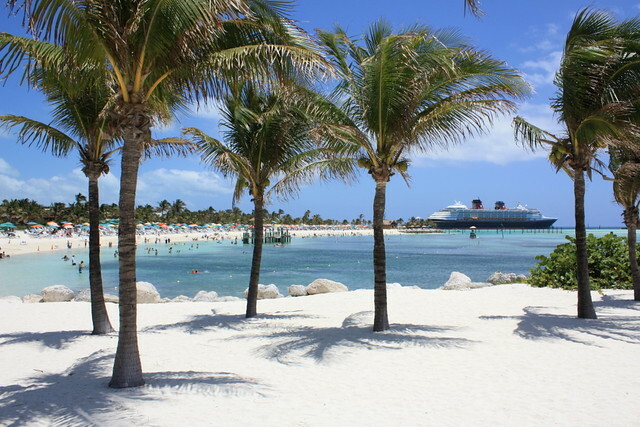 Serenity Bay is the adults only beach on Disney’s private island Castaway Cay. Is Serenity Bay really as idyllic as it sounds? Many people think that a Disney cruise is just for adults, but Disney has gone to great lengths to create the perfect cruise for all members of the family. Perfect white sand. Inviting blue ocean. 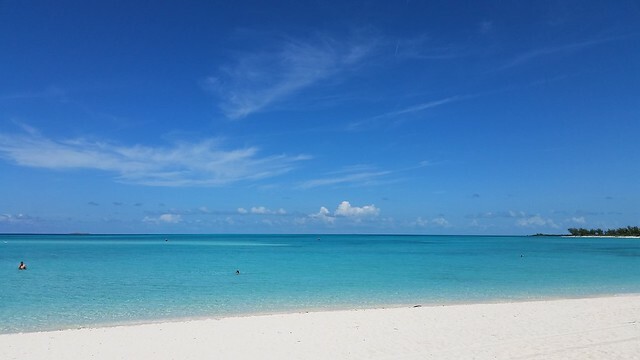 Imagine an idyllic white sandy beach and you will probably be thinking of somewhere that looks pretty much like Serenity Bay Beach Castaway Cay. with us to Castaway Cay. You can buy them on the ship and the island, but you save money if you bring them with you. 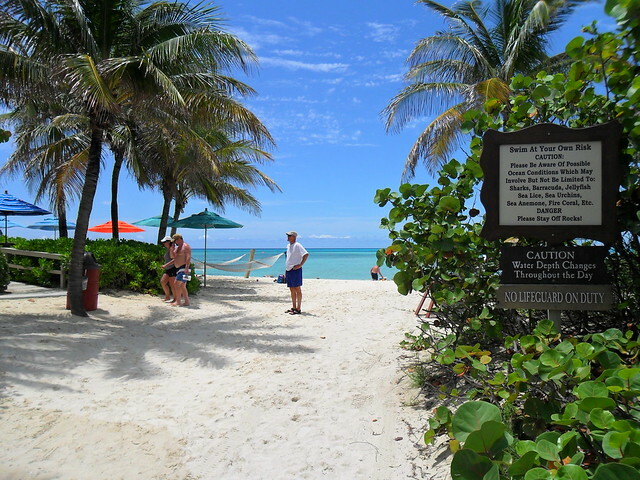 Most of the time Castaway Cay Serenity Beach is much less crowded than the Family Beach. Most people are here with children and tend to go to the family beach. However, there was one visit we did when it seemed like Serenity Bay was just as busy as the family beach. I guess that was the exception rather than the rule. Castaway Cay Serenity Bay is strictly for the over 18s. There isn’t anyone checking your age as you step on the beach, but Cast Members will ask anyone under age to leave. We like to split our day on Castaway Cay by enjoying part of it on Serenity Bay and some time enjoying the other activities on Castaway Cay. Disney cruises makes everything very easy for you. The Disney cruise ships dock at Castaway Cay. No need for tender boats thank goodness. Serenity Bay Beach is the furthest beach away from the ship on Castaway Cay. It is right at the end of the old air strip on the island. Don’t worry. You don’t have to walk very far. When you get off the ship just make your way to the first tram which will take you to the Family Beach. Then you need to catch another tram down the old runway to get to Serenity Beach.
. Of course it is available on the island, but at a premium. 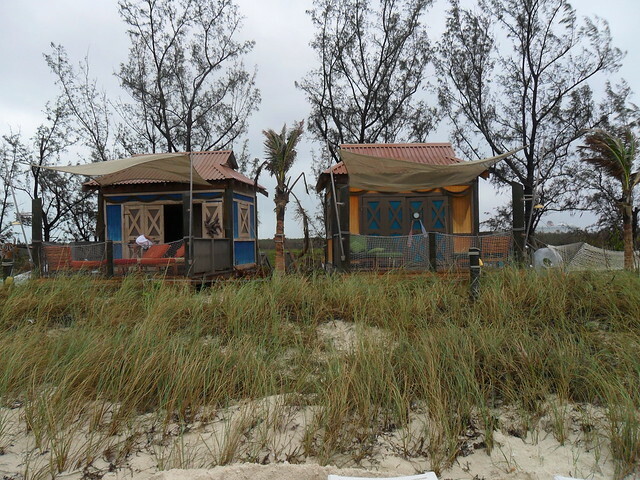 There are only four cabanas on Castaway Cay Serenity Bay. Just like all cabanas on Castaway Cay they are very popular. A reservation is pretty much impossible to get unless you are sailing Concierge with Disney. However, miracles do sometimes happen so you should always keep trying and looking for cancellations. You can also go to Guest Services as soon as you board the ship and ask to be put on a waiting list. Serenity Bay cabanas cost $399 for up to 6 guests. You can add up to 4 more guests for a charge of $50 per person. The Serenity Bay cabanas are less pricey than the Family Beach cabanas which are $549 for up to 6 guests. 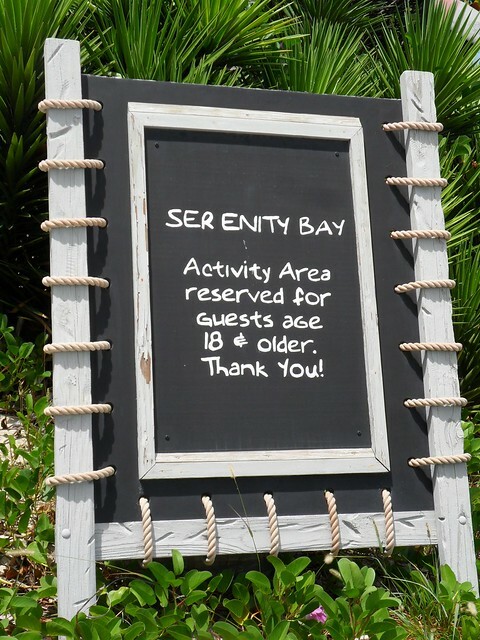 The Castaway Cay Serenity Bay Cabanas are numbers 22 to 25. Number 22 is closest to the barbecue. If you get the choice and want a more secluded Castaway Cay Cabana you should pick number 25. For the ultimate in pampering you can even book a Serenity Bay massage. These are given in an open air Castaway Cay Cabana. As you would expect, these are very popular, so book as soon as you can. 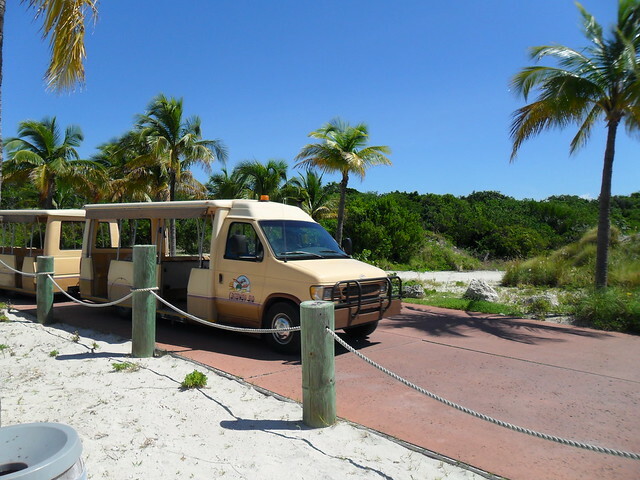 There is always a backstory for Castaway Cay. 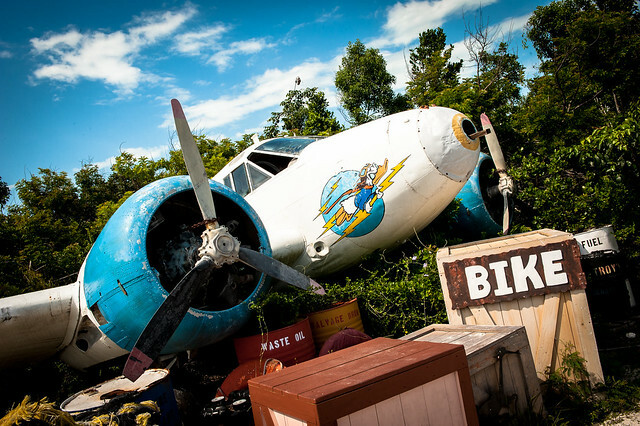 Legend has it that the Castaway Air Bar was built by a stranded pilot out of materials salvaged from his damaged plane. The Castaway Air Bar certainly looks the part – made of corrugated tin it has a rustic feel. The bar isn’t very big, and has only limited seating, but it usually isn’t that crowded. The classic on the Castaway Air Bar menu is the Castaway Cay Konk Kooler. This is made with rum, coconut cream, pineapple, passion fruit and orange juices. For an extra charge you can even get this in the Souvenir Konk Sipper. The Deep Blue Sea has vodka, rum, gin, blue cararcao, lemon mix sprite and grenadine. Java Juice is one for the coffee fans. It has coconut rum, pineapple juice, coconut cream and cappuccino. If you prefer a frozen cocktail you should try the Castaway Free with Bacardi rum, fresh strawberries and bananas. Even though I am the first to say that I am not a barbecue fan there is a lot to be said in favor of the Castaway Cay Serenity Bay BBQ. There is something about enjoying some barbecue food at Serenity Bay that you don’t get every day. The view of the ocean. The sand between your toes. Maybe it makes the food taste better Or was that the Deep Blue Sea cocktail from the Castaway Air Bar? Full disclosure is that I am not keen on barbecues as most concentrate on meat and I am mostly vegetarian with an occasional departure to eat fish. There are veggie burgers at the Castaway Cay Serenity Bay Barbecue, but the meat eaters have a lot more choice. The Castaway Cay Serenity Bay Barbecue menu is much as you would expect. It includes hamburgers, hot dogs, grilled fish, chicken, rib eye steaks and ribs. The sides usually include corn on the cob, salads, fruit, coleslaw and sauces. The desserts are limited but include cake and cookies. There is also self-serve ice cream. We think that the food tastes better at Serenity Bay Barbecue than it does at Cookies One and Two which are located close the Family Beach. It is a smaller cook space so maybe it benefits from that. We think that Serenity Bay Castaway Cay is one of the highlights of the island. 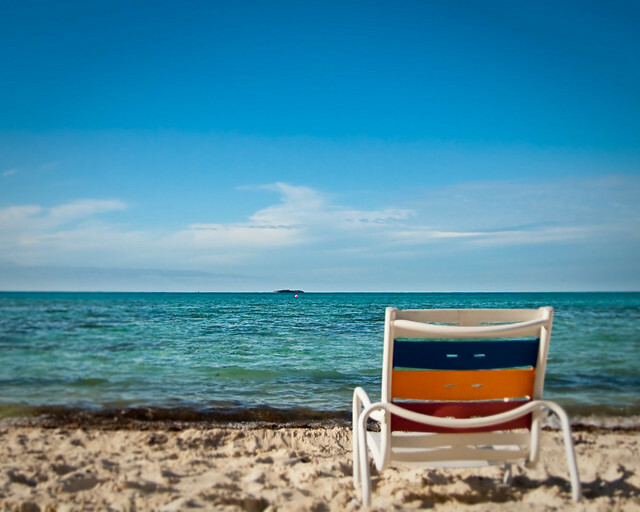 Have you visited Castaway Cay adult only beach? Let us know what you thought.